Read about our members, new and old. Always be sure to "Welcome New Members" and at our next event give a new member a SB friendly sisterhood hug and "SB Kisses"! Welcome Nancy to Social Butterflies. 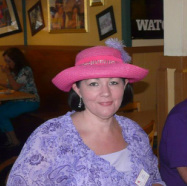 Nancy's Royal Name: "Fansy Nancy"
Nancy is a NEW Red Hat Society member. You may have met her at our "BeanBoozeled" event last month. She lives in Huntington Beach. And she looks forward to making new Red Hat friends and enjoying more SB events. Social Butterflies welcomes you into our chapter. Be sure to give her a big "Butterfly Kisses" welcome when you meet her. Welcome Barbara to Social Butterflies. 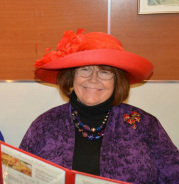 Barbara is a NEW Red Hat Society member. You may have seen her at our "BeanBoozeled" event last month. She lives in Huntington Beach. And she looks forward to making new Red Hat friends and enjoying more SB events. Welcome Shirley to Social Butterflies. Shirley's Royal Name: "Her Royal Hoiness"
Shirley is also a VB, RRC & TG. You may have seen her at some of our past events. Shirley likes to sew & crochet & play Mexican Train. Social Butterflies welcomes you into our chapter. Be sure to give Shirley a big "Butterfly Kisses" welcome when you meet her. RH Mom and Pink Hat Daughter have joined SB in July. They both live in East Long Beach and are brand new Red Hat supporting members. Mary Ann is retired and looking forward to meeting our RH SB ladies. Heather works and will join us at our weekend events. Mary Ann loves music and loves to dress up with bling. Heather's daughter just got married. She likes nature, yoga and other calm activities. Mary Ann's Royal Name: "Lady Scarlet"
Heather's Royal Name: "Princess Soothing"
Social Butterflies welcomes you both into our chapter. Be sure to give them both a big "Butterfly Kisses" welcome when you meet them. crochet , go to the movies and make new RH friends. You may have seen her at "J4UD" and "Wiener Dog Races" events. She has been a red Hat lady for 11 months. She is also a "Twilite Girls" member. Welcome Gloria to Social Butterflies. 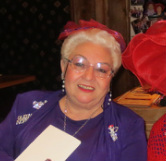 Gloria's Royal Name: "Humming Glo"
Gloria is a NEW Red Hat Society member. You may have seen her at our "Christmas Party" & "J4UD" events. She lives in Seal Beach. And she looks forward to making new Red Hat friends and enjoys gardening, home decor, more SB events. 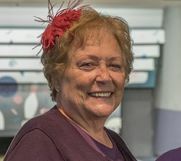 Welcome Maureen to Social Butterflies. 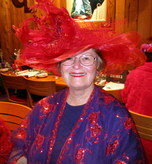 Maureen's Royal Name: "Lady Traveler"
Maureen is a NEW Red Hat Society member. You may have seen her at the "Stunt Dog Show" this month. She lives in Huntington Beach. And she looks forward to making new Red Hat friends and enjoying teas, plays & day trips with SB. Welcome Carole to Social Butterflies. Carole's Royal Name: "Countess of Candy"
Welcome Cindy to Social Butterflies! Cindy is also a member of Plum Nuts. She likes to spend time with her grandkids, embroider, dance play tennis and likes to attend teas. ​Social Butterflies welcomes you into our chapter. Be sure to give Cindy a big "Butterfly Kisses" welcome when you meet her. Welcome Judy to Social Butterflies! Judy is a brand new Red Hat lady. She lives in Seal Beach and travel, read, make new friends and have fun! ​Social Butterflies welcomes you into our chapter. Be sure to give Judy a big "Butterfly Kisses" welcome when you meet her. Nancy joined SB in January 2017. She lives in Garden Grove and has joined us in several events in the past. She is also a member of the Plum Nuts, Funtastic Babes, & Beach Babes. She loves all kinds of music, reads mysteries and likes to have fun with other RH ladies. Nancy's Royal Name is "Lady Talks a Lot." Social Butterflies hopes to see her soon at one of our events. Be sure give her a big "Butterfly Kisses" welcome when you meet her. 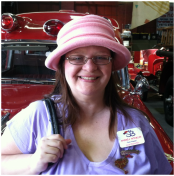 Welcome Susie Lytle to Social Butterflies. Susie joined SB in January 2016. She lives in Anaheim and was recommended by Marian George Nancy Selof. She is also a member of the Plum Nuts and Vintage Roses in Cerritos. She loves to go to events, she babysits her grand-babies. Loves to go dancing, reading, computer scrap-booking, makes cards and photos. Susie's Royal Name is "Lit'l Bit." and make new RH friends. You may have seen her at "Nena's" and "Chili Cook-Off" events. She has been a red Hat lady for 8 years. She is also a "Plum Nuts" member. Her royal name is " Fairy Princess"
Denise Howard has joined SB. She lives in Cypress. She likes to quilt, craft, travel and have fun making new friends. You may have seen her at the "Chili Cook-Off" or "J4UD" events. 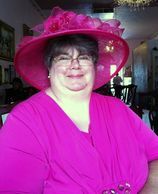 She has been a Red Hat lady for 15 years and she is also a "Plum Nut" "MzTeas" & "Disney Darlings" member. Her royal name is "Lady Crafty"
and make new RH friends. You may have seen her at "GT" and "J4UD" events. She has been a red Hat lady for 8 years. She is also a "Twilite Girls" and "Violet Roses" member. Carol Nugal has joined SB. She lives in Long Beach. She likes to read and learn new things. You may have seen her at the "Chili Cook-Off" or "RED-uation" events. 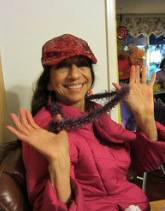 She has been a Red Hat lady for 8 years and she is also a "Feathered Friends" & "Purple Red & Ravishing" member. Her royal name is "Empress of Everything "
Gail Levitt has joined SB. She lives in Seal Beach. She likes lots of activities, to cook, flowers, traveling, and is crafty too! You may have seen her at "GT" or "J4UD" events. 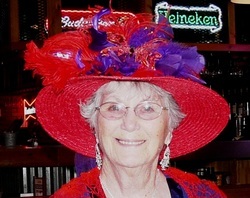 She has been a Red Hat lady for 10 years and she is also a "Feathered Friends" member. Her royal name is "Lady Golda "
Rhonda Porter has joined SB. She lives in Los Alamitos and works at Boeing. She likes lots of activities, to organize events, music, plays, movies, traveling, and is creative too! 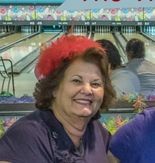 You may have seen her at "RRC" Mexican Train events or our "Turkey Bowl Party" She has been a Red Hat lady for 10 years and she is also a "Plum Nut" and "RRC "member. 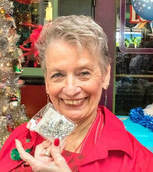 Mariann Klinger has joined SB Mariann has been a Red Hat lady for 5 years and is also a member of Feathered Friends and she lives in Seal Beach. Mariann has joined us in many events and she works part time as Security Officer at Leisure World. Fran Kalish has joined SB Fran is also a member of Feathered Friends and she lives in Long Beach. Fran has been in the Red Hats for 3 years. You may have seen Fran at our "J4UD" and also our GT days. has joined SB. 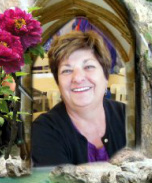 Norma is also the Queen of Violet Roses and she has recently joined RRC & TTG. She lives with her hubby in Huntington Beach. Norma loves to participate in all our Red hat events. has joined SB. Cindy is also a member of RRC and lives in Garden Grove. Cindy works for Boeing and has been a RH lady for the past 6 months. She is very friendly and warm. 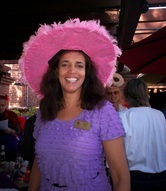 has joined SB Dianne is also a member of the Westminster Sea Bonnets and she lives in Huntington Beach. 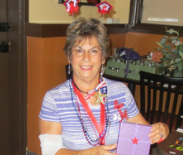 Dianne is a fun loving gal and loves to participate in our GT events. Welcome Dianne we hope you enjoy being a member of Social Butterflies!! has joined SB. Patti is also a member of PR&R and lives with her hubby in Long Beach. Patti loves to "Google" playing on her computer, she is active wiht her church and is very friendly and outgoing. Her royal name is " Lady Google "
has joined SB. Cathy is the queen of "RRC" and lives in Huntington Beach. 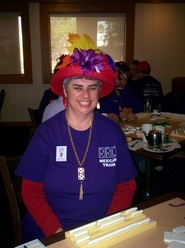 Cathy loves to ride trains and play Mexican Train. She is very active and has been a guest at many of our SB events. Cathy is very talented in graphics and a wiz on websites! Her royal name is "The Rail Goddess"
has joined the SB. She is a "pink hat" gal who lives in Compton, she works and enjoys the Red Hat ladies. She likes to enjoy all RH groups and looks forward to attending more RH functions. has joined SB. Gloria is also a member of "RRC" and lives in Lakewood. 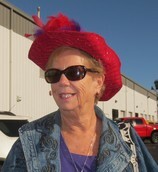 Gloria just recently got married and just became a red hatter in June of 2012. Gloria loves to bake and makes beautiful decorated pastries and cupcakes and cakes. has joined the SB and she is 3 weeks "new" to being a Red Hat lady! Joy lives, with her hubby, in Harbor City, she is retired, loves to travel, enjoys friendships, and she loves BLING!!!! "Glitz-queen" appropriate for a very "glitzy" lady. has joined the SB and she "new" to being a Red Hat lady! Patricia lives, with her hubby and family, in Lakewood, she works full time at F&M Bank in Seal Beach and is a "Pink Hatter" She loves to crochet, enjoys friendships, and has one granddaughter. Please be sure to "Welcome Patricia" at our next event with a SB friendly sisterhood "hug!" Her royal name is "Madame Seal"
Diana Gunzel has joined SB. She lives in Fountain Valley. She likes reading, Games and crafts. You may have seen her at the February"GT" or "J4UD" events. 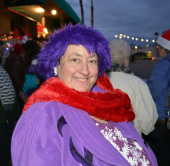 She has been a Red Hat lady for 10 years and she is also a "Plum Nuts" member. Robin Smith has joined SB. 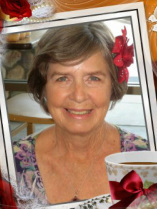 She lives in Seal Beach and likes to have fun, read, walk and make new friends. 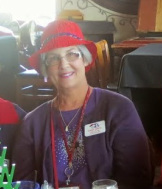 Robin is brand new to the Red Hat society recommended to join SB by our new member Mariann Klinger. Thank you Mariann! "Lady in the Sky "
has joined SB. Adele is also a member of RRC and lives in Norwalk. Adele has 2 daughters that are members of SB, Gloria and Cindy. has just joined the SB. She is also a member of PR&R and lives with her daughter & son in San Pedro. Alice is a "Pink Hat" gal, loves to knit on the loom. She likes to enjoy all RH groups and looks forward to attending more SB RH functions. Please be sure to "Welcome Alice" at our next event with a big SB friendly sisterhood "hug!" has joined SB. Mary is a member of "RRC" and lives in Huntington Beach. 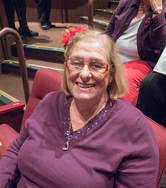 Mary is Cathy's mom and loves to play Mexican Train, Bowls in a league and also loves to ride trains. She is a very active lady and has been a guest at many of our SB events. has joined SB. Kathy is also a member of "P,R &R" and lives in . 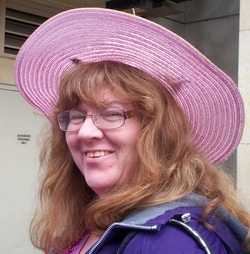 Kathy is a "pink" hatter. And wants to join SB after the holidays. She loves to take photos. Her royal name is "Lady Shutterbug"
has joined SB. 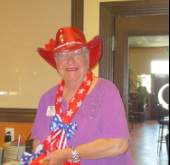 Gwen is a lovely lady that loves giving and enjoys all Red hat outings. Gwen was the source of turning QM onto networking with other RH chapters. She lives in Fountain Valley and is the Queen of Vintage Babes. Gwen always has a bright smile on her face and a warm hug. Her royal name is "
has joined SB. Marcia is also a member of PR&R. She lives with her hubby in Long beach, a retired nurse, a very active lady. Marcia loves to have fun, is learning to crochet and she loves LEMONS!!! Her Royal Name is. 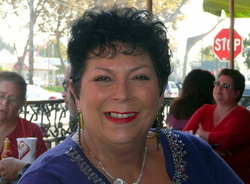 "Lady Loves Lemons"
has joined the SB and is also the Queen of the "Twilite Gals" of Long Beach. Pat lives, with her grandson, in Long Beach, she is retired, loves to fish, enjoys friendships, and loves to crochet!!!! A wonderful lady!